I LOVE my new Sound Design products. The quality in product that comes out in buy-out form keeps elevating. I had a few packages come across my screens in the last couple days. As I promised to the world, if you release it, I’ll post about it! Here are THREE products to show you – One of which is a little FREE sampler. For those who don’t know, Fame FX is the Buyout FX label produced by the German Contingent of Benztown. I got Fame FX 1 at it’s release – it is HUGE and extremely versatile. These guys do great work. Hit their website below for BTS vids and more info. This will get you $20 off the intro price. I don’t have a KILL-date on it so move quick if you want to use it. Massive straight forward package, for energetic and powerful imaging needs! 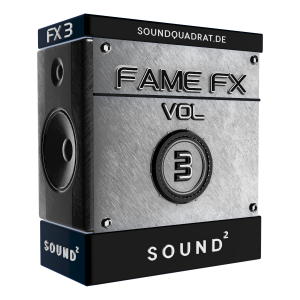 Fame FX Vol.3 equips you with a huge amount of broadcast sound effects! 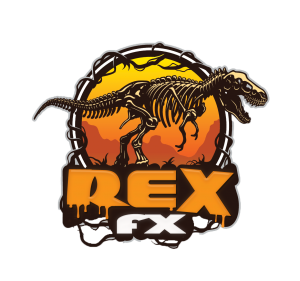 The folks at Sticky FX keep putting out package after package and now – REX FX. I have had plenty of experience with their content – Great quality, quantity and value. In terms of Format/Genre, the guys at Sticky FX are really going all over the “Sound Design Map” so check out all their offerings. ALSO, they just might have some free packs for you. Rex FX is the package that helps you with inventing your one of a kind sound for your station’s imaging. So leave all the other copy-paste stuff and create a really unique sound for your station that enhances the recognition of your station’s name. It’s the ultimate audio branding tool for any CHR, Hot AC, Greatest Hits or Rock station in an overcrowded market. Quick EXTRA bit here to wrap up. Denzil Lacey shared his FREE zFX Sampler available now. It ain’t huge but its free! And of course you can pay him actual money for more sounds too. He has zFX Starter available now and (as of this writing) zFX Cinema coming soon. I am off to grab the ZIP now too! **If you have a product you want to share with the world I can help. Send me the info, I’ll make one of these Blog Thingies.